This session about the intertwining of science and art fired up when both Proulx and Flannery related personal stories about how their engagements with the environment and its wildlife had inspired them. Several times, they made the point: you can’t experience these sorts of things in the city. That point was emphasised as we made our way out the exit after the session and a writer from Tasmania complained about how inspiration had deserted her since she moved to Perth. And it was places away from cities that they described.They both talked about Wyoming, where Proulx lives on 640 acres of wetlands and which she writes about in her new book, Bird Cloud. Flannery said Wyoming reminded him of the New South Wales Western Plains. He talked about “one of the most moving experiences” of his life when he watched two eagles locked in some sort of mating ritual crash together into the river and he took his boat out to rescue them. Another Hawkesbury story involved a 2-metre king brown snake which he often saw around his house. He used to be scared of it but one day he was confronted by it and he and the snake just looked at each other. “I realised we had an understanding,” he said. Proulx had her own eagle story about the time she watched an eagle surfing on the back of a big fish it was trying to catch. “You don’t get to see that sort of thing in an apartment in the city,” she said to a roomful of city people. But us city folk in the audience seemed rather preoccupied when it came to question time with trying to understand the scientific mechanics of climate change. Although Flannery gave a couple of great scientific answers, somehow I couldn’t “feel the weather on my skin”. 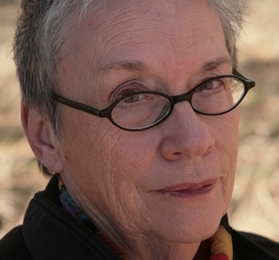 Annie Proulx was born in Connecticut but she has spent most of her life in Vermont. She wrote her first novel, Postcards, in her 50s and followed it with The Shipping News, which won the Pulitzer Prize for Fiction in 1994. Her short story Brokeback Mountain was published in 1997 and was later adapted into an Academy Award-winning movie. Annie was a keynote speaker at the Perth Writers Festival. 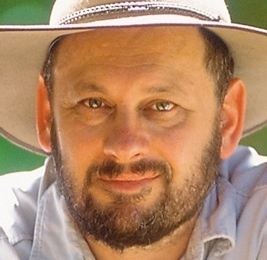 Tim Flannery is a writer, scientist and explorer. He has written many award-winning books including The Future Eaters, Throwim Way Leg and Country. He is a member of the Wentworth Group of Concerned Scientists, the National Geographic Society’s Australasian representative and a director of the Australian Wildlife Conservancy. In 2007, Tim was named Australian of the Year. He was a keynote speaker at the Perth Writers Festival. This entry was posted in 2011 Perth Writers Festival, Blogwax, The Buzz and tagged annie proulx, art, authors, bird cloud, environment, inspiration, perth writers festival, place, science, tim flannery, western plains, write, writers, writing, wyoming. Bookmark the permalink.